Workers are assigned to each project. Professional finishers are aided by assistants who are trained to keep work flowing to the professionals, as well as to inspect each piece immediately after it is painted. A full range of testing equipment is used to measure coating thickness, color matches, and gloss quality. 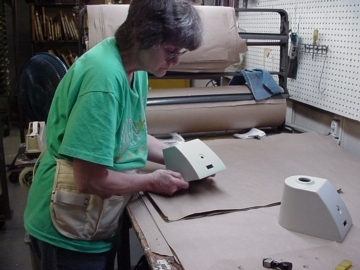 A full-time quality-control staff inspects each item before shipping to ensure that each has been properly finished. Bridgeview management subscribes wholeheartedly to the Total Quality process by having written procedures, Quality Manual and specific client SOPs (Standard Operating Procedures).